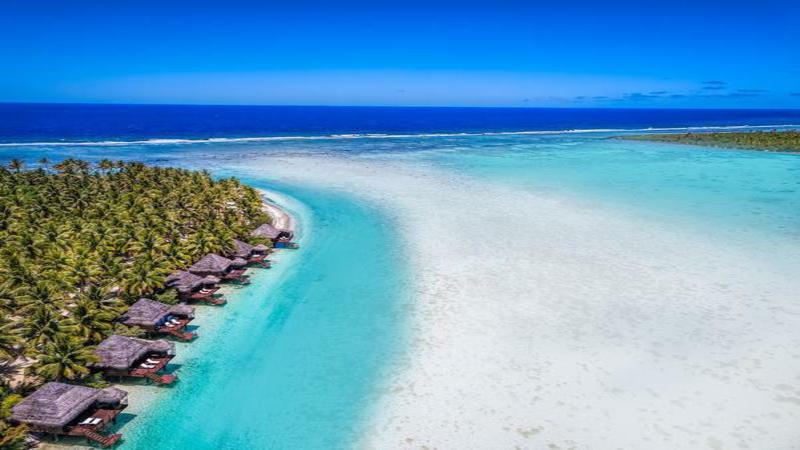 Aitutaki Lagoon Private Island Resort rests on its own magical isle named Motu Akitua Private Island and is the only high-end resort located directly on world-famous Aitutaki Lagoon. It is from the resort that so many of the most stunning shots of Aitutaki Lagoon have been taken, because Motu Akitua Private Island affords the best views in Aitutaki of legendary Aitutaki Lagoon. Panoramic, majestic, spell binding, jaw dropping views to die for. Voted in the TOP 25 RESORTS in Australia, NZ and the South Pacific by Conde Nast Traveller Readers Poll 2015. The only private island resort with Overwater Bungalows in the Cook Islands. HotelSwaps is pleased to welcome Aitutaki Lagoon Private Island Resort as its newest member in Arutanga, Cook Islands.